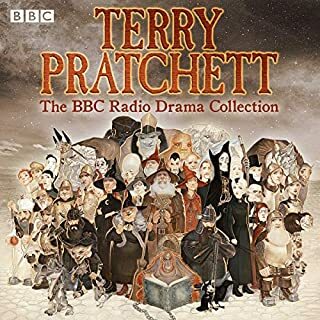 A full-cast BBC Radio 4 dramatisation of Terry Pratchett & Neil Gaiman’s celebrated apocalyptic comic novel, with bonus length episodes and outtakes. According to the Nice and Accurate Prophecies of Agnes Nutter, Witch, the world will end on a Saturday. Next Saturday in fact. Just after Any Answers on Radio 4…. Events have been set in motion to bring about the End of Days. The armies of Good and Evil are gathering and making their way towards the sleepy English village of Lower Tadfield. The Four Horsepersons of the Apocalypse - War, Famine, Pollution and Death - are assembling. Witchfinder Shadwell and his assistant Newton Pulsifier are also en route to Tadfield to investigate unusual phenomena in the area, while Anathema Device, descendent of prophetess Agnes Nutter, tries to decipher her ancestor’s cryptic predictions. 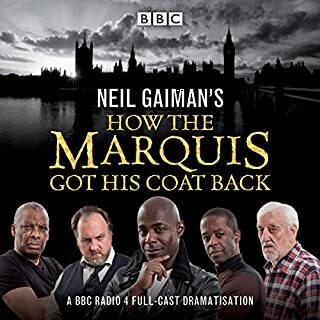 Adapted, sound designed and co-directed by Dirk Maggs (Neverwhere, The Hitchhiker’s Guide to the Galaxy) this first ever dramatisation of Terry Pratchett and Neil Gaiman’s novel features a large cast including Peter Serafinowicz, Mark Heap, Josie Lawrence and Paterson Joseph. Poorly adapted. The radio play feels clunky and tells rather than shows the action. Suggest getting the audiobook instead. The story was great! 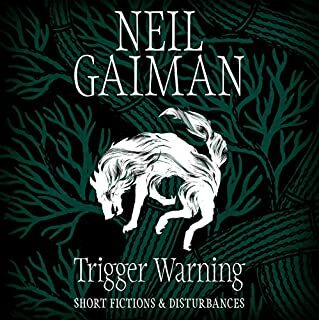 Dark, humorous and imaginative. The performance was just brilliant!! Really recommend it. Love it. The characters were very likeable and the story was great! Laugh out loud in many parts in between the main story. I used to borrow this audiobook from the library. After 20 times borrowing, i ended up buying it. Yes i know it off by heart, but it is enjoyable everytime. Great storyline. Great cast and crew. Funny as! Just brilliant! It got better each listen. Bloopers at the end were funny too. Buy this book. 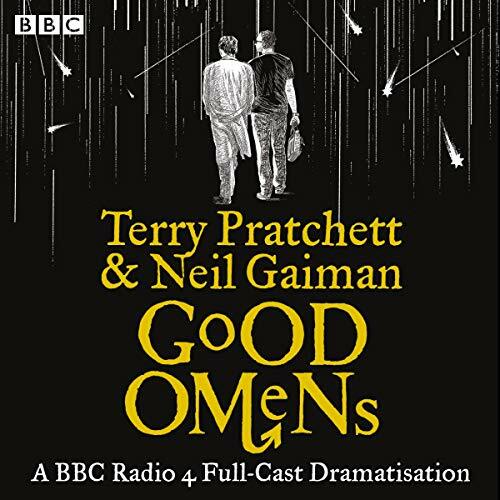 Fantastic voices all around, particularly the leads - perfect as Aziraphale and Crowley. As a dramatisation a few scenes from the book were omitted for pacing, mainly scenes not concerning the main cast, which was disappointing. Overall it was a very enjoyable 4 hours. Excellent story written by the two best authors in the business and performed by the creme of the BBC crop. 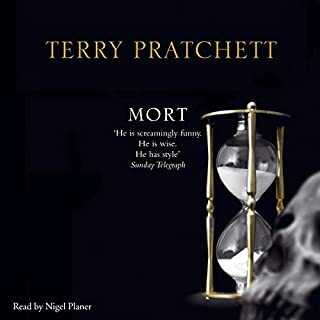 Not the best Terry Pratchett, with an annoying announcer between every chapter (which are short). A short narrative about an angel and devil trying to stop Armageddon. A bit too simplistic. Great story made better by the performance. Really great and the bloopers section added new perspective as well. This is a tricky thing to review. I love the story & have read it many many times & I know the details inside out & back to front. The cast are stellar & the performances are excellent but as a fan of the original I found the adaption quite irksome in places. In the original, the book has a voice of it's own (almost) with foot notes and asides. these are dropped entirely from the adaption with some of the text clumsily shoe-horned in to characters dialogue or as additional exposition. This for some reason grated with me, every time. Personally, I felt that an adaption might have worked better with a 'narrator' for the book, or at least for the footnotes but perhaps they feared it would make it more like Hitchhiker's Guide. 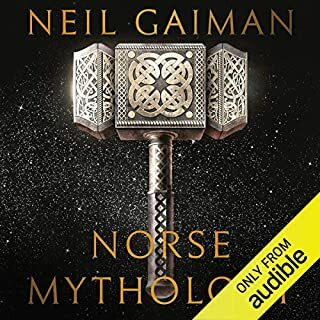 Either way it's an excellent audiobook worthy of your time, but fans of the original may find some of the changes a little jarring. New listeners will enjoy every second of it. This adaptation loses a lot of the wit and charm of the book. 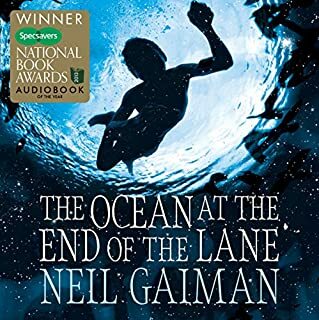 Many of the clever lines of narrative and action sequences are described aloud by the characters, lending an air of contrivance and breaking my suspension of disbelief over its knee. While the cast themselves did nothing wrong, this is a piece of fiction that sounds more like an underfunded radio hour than a 'nice and accurate narrative of events leading to the apocalypse'. I adore Mark Heap and company. It's a fun listen. 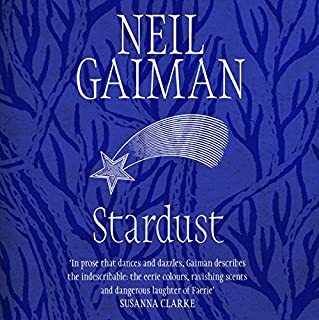 I'd recommend the book first as it has the hilarious prose of Pratchett and Gaiman, but this adaptation is solid. If you've read the book you'll enjoy it. Fabulous casting, wonderful voices & characterizations. Well done! Newt & Anathema should have their own sequel. 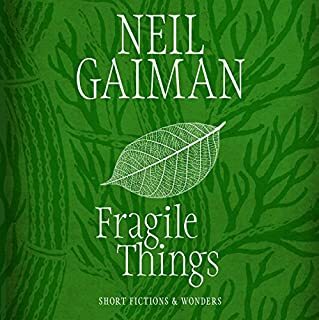 Jolly good Pratchett & Gaiman adaptation. Bravo! Wonderful cast reading voices are perfectly cast!!! If you have already read good omen you will still love it!!! If this is your first time hearing it you will be easy for you to pick up the story line!! 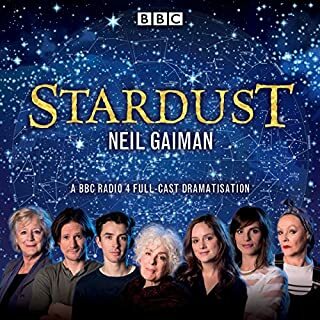 I love the book and this is not a replacement for the real thing but it is a brilliantly done radio adaptation and the cast does a wonderful job. 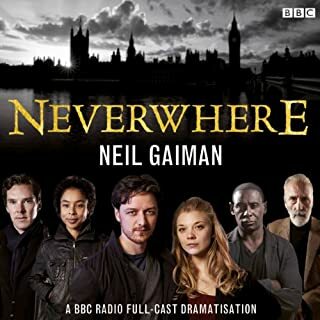 A few months ago I downloaded the copy of Neverwhere done in radio dramatization by the BBC and was sadly very dissapointed in its performance. A much loved story, I was easily lost with what was happening even though I have tead it many times. This production on the other hand, was fantastic. Well adapted to the radio audience and wonderfully performed. 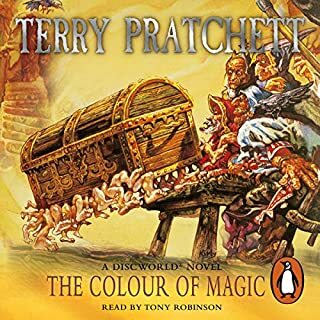 I would love to hear some of Pratchett's plays or short stories done like this was. Excellent purchase. Wish there was a sequel, or wven if the movie finally took off! And that puts it in a whole different place. It was fantastic. I recommend this highly and hope you like it as well. 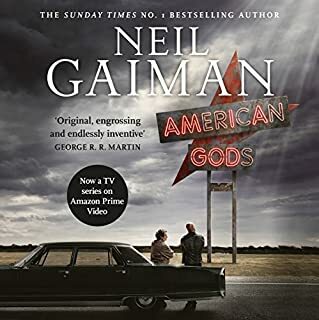 I've been a fan of Good Omens for many years and am glad to have such a great performance of this book.. My only complaint (if there can be one) is on the picky point of how to translate the footnotes into dialogue. I think the adaptors made a valiant effort here but they either might have done either a lot more or just left them out entirely. This is my only complaint though - the performances match what I've always heard in my head, even Adam and the Them. Well worth a listen. Good all on its own. 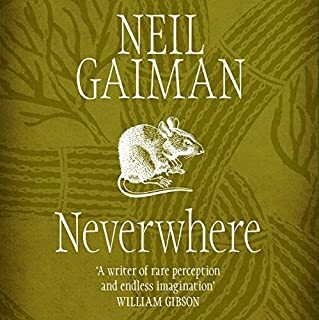 I listened to the radio adaptation of Neil Gaiman's Neverwhere, then read the book. The radio drama was fun and then the book added so many more details. I did Good Omens in the other order. If you listen to this first or on its own you will really like it. However if you have read the book you will feel that something is missing. 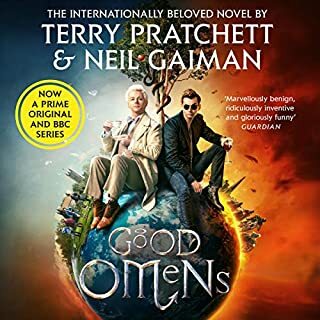 Would you consider the audio edition of Good Omens to be better than the print version? I wouldn't say this performance was better the the print version, but I would say that if you like the story, or like comedic drama, then this is a must listen. The characters are well cast, and the delivery is on point. Well produced - I relisten to this often, due to the quality of the performance. Crowly is a fantastic good/evil baron of hell, and his drive to be bad on a massive global scale in line with his pact with the angel is very funny. His antics are attributed to most of mans foibles in history, although just as many are attributed to the angels. The scene that always springs back to memory is when the 4 horsemen ride out, along with the various lead-ups to that point. Very clever, and very well handled. When Adam's pals bring him back from his plan to remake the world with typical child logic that isn't fluffed up by adulthood and the bitterness the real world imposes on people. It is a wonderful piece of writing, that would only fail to move those with the hardest of hearts, and saddest of lives. 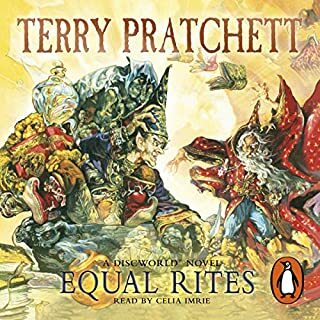 One of Pratchett and Gaiman's all time victories in writing, produced and performed to the highest level, creating a story that can be listened to over and over, without any impatience or boredom. 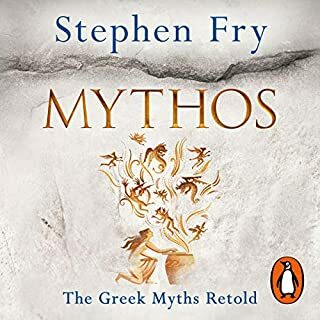 Read this some years ago and missed the dramatisation on the Radio so was pleased to see it on here. Characterisation and acting was brilliant and the story was exactly as I remember it with good tweaks for modernisation. 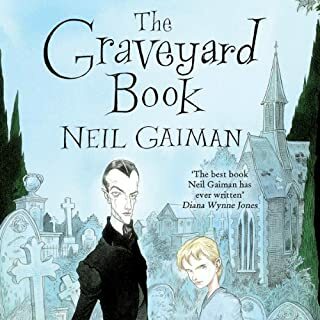 Great adaptation of a fab book. Lovely nods to the authors and their work too. Wickedly witty. Hilariously sinister. 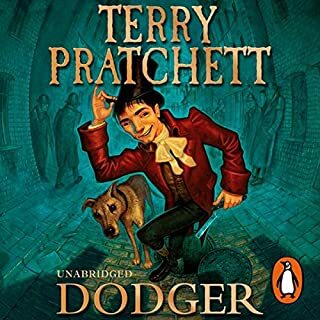 Only Terry Pratchett and Neil Gaiman could make Armageddon so much fun. Could not possibly recommend it enough!! Absolutely brilliant!! The actors really bring the story to life, they were perfectly cast for their roles. A real corker. Listened to it in practically one sitting...apart from pee breaks!! Great story, fabulous cast. One of my favourite books. Dirk Maggs does a fantastic job again! A great story by two great storytellers. The audio performance is absolutely wonderful, had me laughing out loud throughout. Loved this version. Love the book read it loads. This just made it even more enjoyable! Get it and laugh!